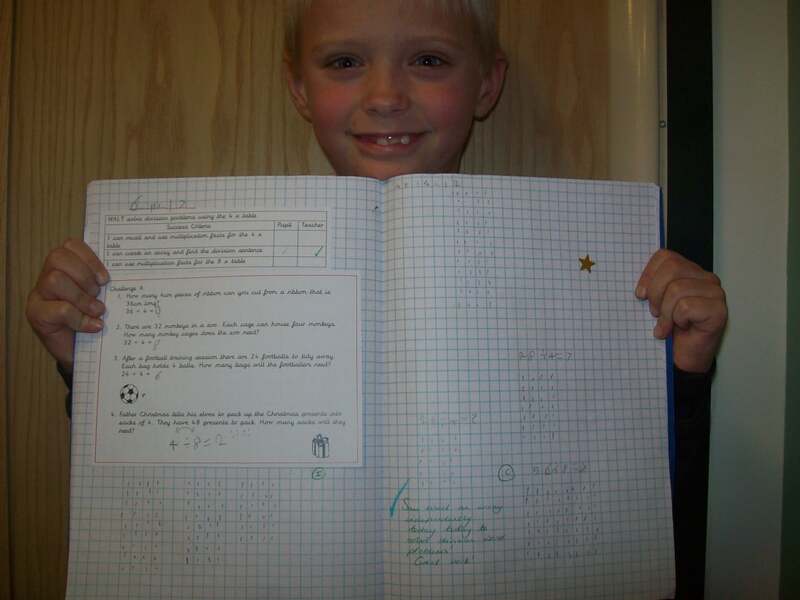 Sam has been working really hard in maths to develop his understanding of multiplication and division. He has shown a great deal of determination to understand how arrays can help us as a maths ‘image’ and support us to solve problems. Sam is working hard on the presentation of his maths work (achieving Gold Star standard) and is now able to use arrays to help him solve word problems involving multiplication and division. What wonderful progress!